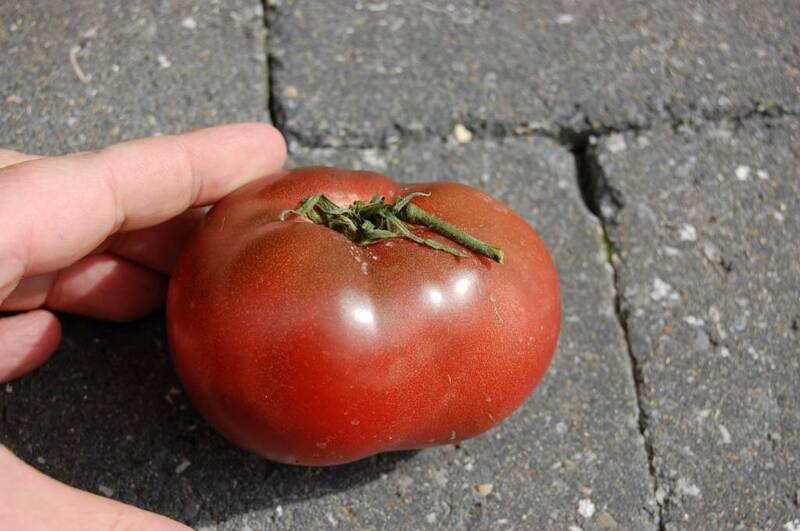 Medium to large round tomato, slightly flattened. Dark red-brownish skin with green shoulders, sometimes showing some gray-black reflection, from which probably comes the name of the variety. It is one of the darkest black varieties. 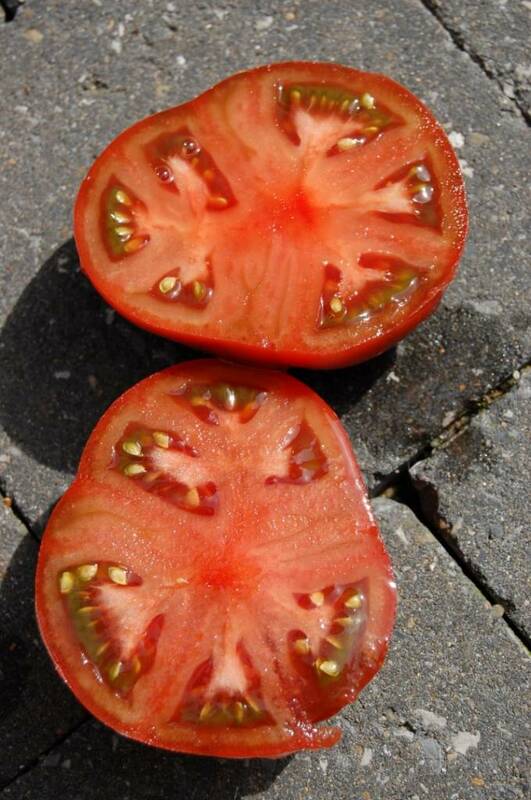 This variety has won several tasting competitions, its flavor is also often praised by tomato lovers as being one of the best. 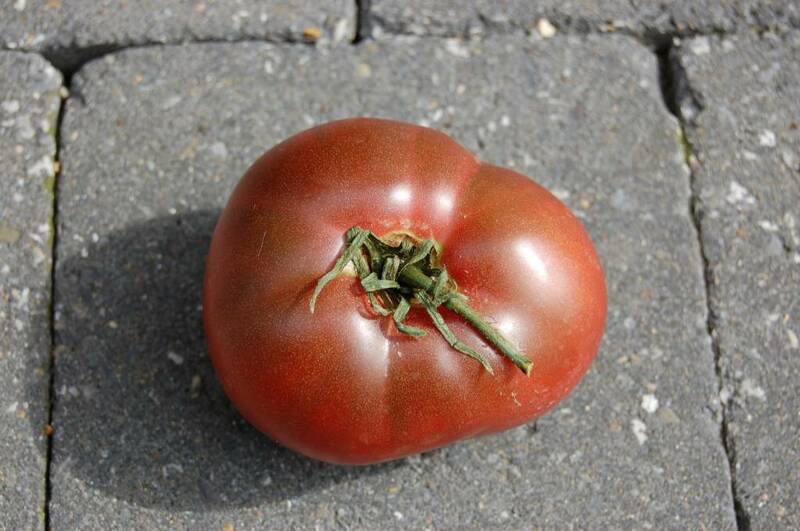 Good rich flavor of black tomato.